All of Yellowstone Country is bear country, and that includes Gardiner, Montana, and the surrounding public lands. After all, the chance to see a black or grizzly bear is one of the primary draws to our area — and there is no doubt that observing bears in the wild is an unforgettable experience! Here at the Gardiner Chamber of Commerce we receive a lot of questions from visitors about bear safety. Is it safe to hike in bear country? Should I purchase bear spray? What do I do if I encounter a bear? With all of your questions in mind, let’s talk about how to safely recreate in bear country while keeping yourself —and these spectacular animals — safe. Whether you’re enjoying a half-mile hike in Yellowstone or backpacking ten miles into the Absaroka-Beartooth Wilderness, you should always be prepared for a bear encounter. Hiking in groups of three or more and making noise will reduce your risk of catching an unsuspecting bear off guard, which could cause the bear to act aggressively. Keep in mind bears generally prefer to avoid humans; talking loudly, clapping, or singing can alert a bear of your presence long before you ever see him. Carrying bear spray (and learning how to use it!) is a proven method to deter a bear and prevent a possible attack. Purchase bear spray at a number of Gardiner businesses. Part of being prepared in bear country also means checking with local officials about any trail closures due to bear activity. Park rangers will close trails in Yellowstone when a bear is frequenting the area, especially during the spring and early summer months when bears emerge from hibernation. Stop by the nearest Yellowstone Visitor Center to inquire about any trail closures due to bear activity before you head out on park adventures. Extra precautions must be taken anytime you’re camping in Yellowstone Country to reduce the risk of bears becoming conditioned to human food. Take care not to leave any attractants lying around your campsite while you’re not in attendance, including food or scented items like sunscreen or insect repellent. Most campgrounds surrounding Gardiner and in Yellowstone provide bear-proof storage containers for these items for your convenience. Heading out on a backpacking adventure? Learn about additional bear safety measures that apply to backcountry trips. Even if you follow all these safety precautions, there is still a chance you may encounter a bear while on the trail. Depending on the demeanor of the bear (is he startled? is he curious?) there are several responses that will be most appropriate to prevent the bear from becoming aggressive. Regardless of the bear’s demeanor, however, remember to fight the temptationt to run. Instead, you should stand your ground, back away slowly, and use your bear spray if the bear approaches. Check out more excellent tips from our friends at Yellowstone National Park on how to respond to a bear encounter. To many visitors, the thought of encountering a bear on the trail is terrifying, yet approaching a bear they spot along the road may seem relatively safe (especially if they want to capture that amazing photo!) If you’re lucky enough to spot a bear alongside the road from the safety of your vehicle, do not abandon your car and approach the bear. It’s important to give the bear plenty of room — maintaining a distance of at least 100 yards is the law when you’re in Yellowstone. Move your vehicle to the nearest pullout or shoulder and observe the bear from a safe distance. Have we helped ease your mind about recreating in bear country? If not, you can always hire a local guide who is well-versed with the ins and outs of traveling safely through bear country. 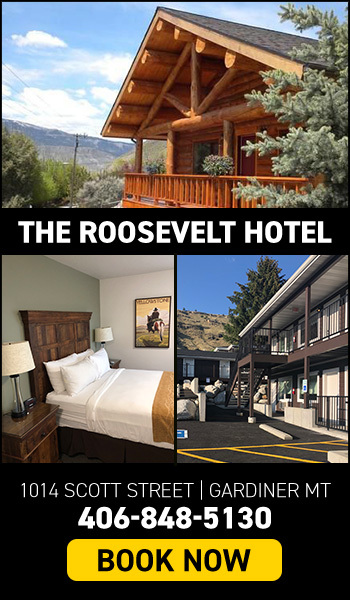 If you’re ready for an independent outdoor adventure around Gardiner, Montana, we highly recommend you follow the guidelines listed here. 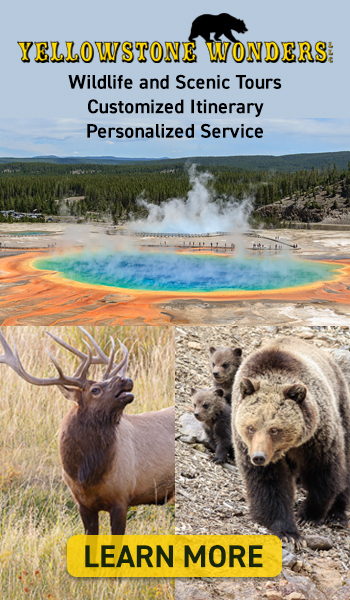 Enjoy the peace of mind that comes with being prepared while knowing you’re helping preserve one of Yellowstone Country’s most fascinating creatures. 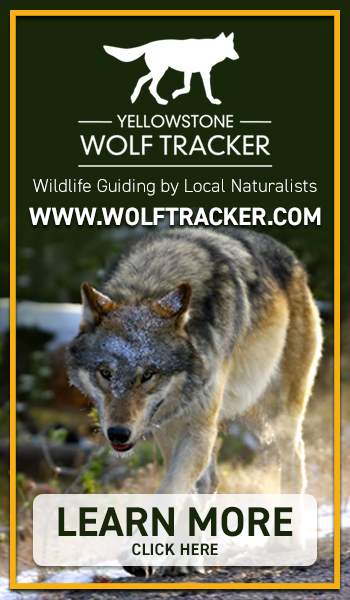 All photos courtesy of Yellowstone National Park Service.